Hi everyone! It's Friend Friday with Chameleon Pens and Penny Black. And I'm excited to be a part of it! I made a layout for my blog and two more projects which you can find on the Chameleon Pens blog. Follow the link to read the tutorials. I used the sentiment stamp "You're so fun to be with. Love you!" from the Penny Black Friendship stamps set to make the background. Just stamped it several times with black and yellow inks making three vertical stripes. 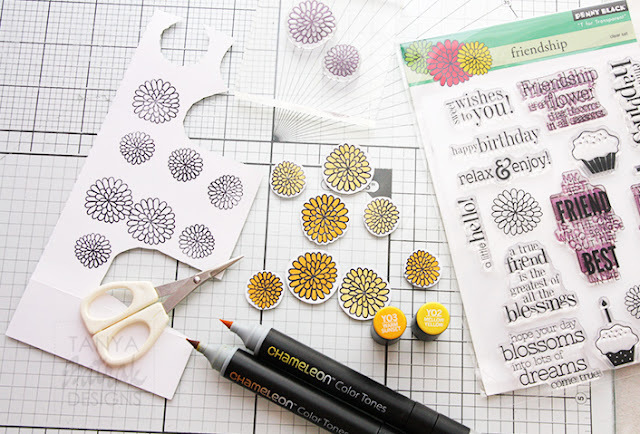 I also used these cute little flowers as the additional decor on my layout. I coloured them with the Mellow Yellow (YO2) and Warm Sunset (YO3). What a great layout! Love the bright colors & the big heart! Thanks for the inspiring ideas. Wonderful layout page plus the added quilling strips! Wow, wow, wow, wow, wow! Absolutely magnificent! 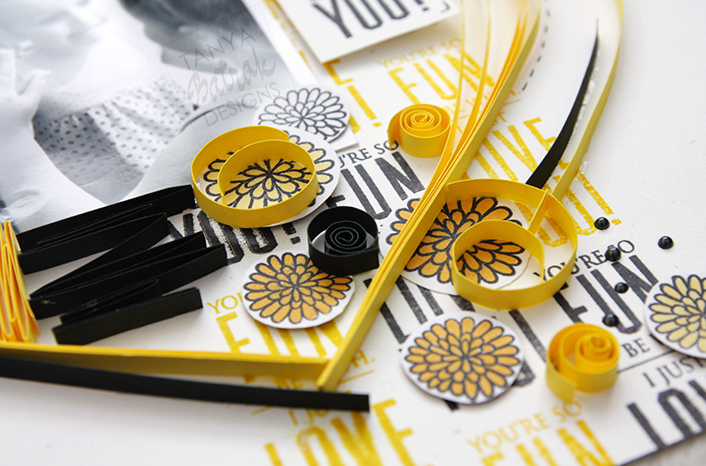 I love your paper shaping and the vibrant yellow really makes a statement! Spectacularly amazing! TFS! 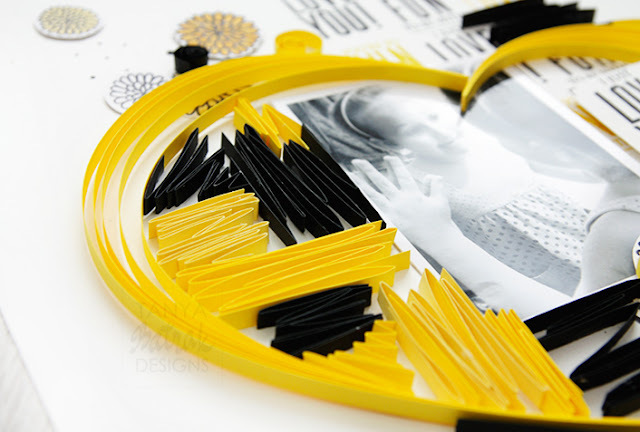 Love the quilling for the heart.